Here is a Vocab PPT for this semester. You already took your Shakespeare vocab, so don't worry about those words. Vocabulary and Sonnet test on Monday! Vocabulary and Sonnet test on Friday! Finish the Act I review and bring it to class tomorrow. We had a visiting actor today. I hope you all enjoyed Elizabethan dancing! We had a visiting actor today. I hope you all enjoyed Stage combat! We had a visiting actor today! Today we worked on analysis and watched Animal Farm. In Animal Farm, George Orwell uses indirect characterization of the pigs to illustrate the dangers of authoritarianism, revealing that honesty is less powerful than greed. In Animal Farm, George Orwell uses indirect characterization of the hardest workers to illustrate the horror of totalitarianism, revealing that honesty is less powerful than greed. In Animal Farm, George Orwell uses similes to illustrate the horror of totalitarianism, revealing that honesty is less powerful than greed. Option 1: Describe Benjamin’s role in Animal Farm. •Why isn’t he a leader? •What does his detachment lead to/ come from? Option 2: What does the pig betrayal of the revolution portray about their character development? Option 3: Orwell takes a strong stance on the value of education and literacy through Animal Farm. How is this stance shown throughout the novella? What is the impact of education and literacy on this revolution (and others)? Option 5: Examine the use of propaganda within the novella. What is the author trying to achieve? Option 6: Examine the culminating scene in Animal Farm. •What is the author trying to achieve? Homework: *my apologies if I told you to read part of chapter 7 -- that is chapter 8 that we will split. Quizlet that Ellie made for Rhetoric! Short period...We discussed "Other Men's Flowers"
Bring an annotated copy of "Other Men's Flowers"
•Pick your favorite chapter from the Tao Te Ching and create an annotated poster to show the Taoist concepts in it. You must have 7 detailed annotations explaining the Taoist philosophies in your chapter. And a graphic image that helps explain the concepts. What is your reaction to the battle between Rama and Ravana? Why? Ravana seems to have an advantage, how does Rama win? Describe Rama's heroic code. What rules does he, as hero, follow? Is Ravana heroic? Support your answer. How does Rama compare with Arjuna from Mahabharata? 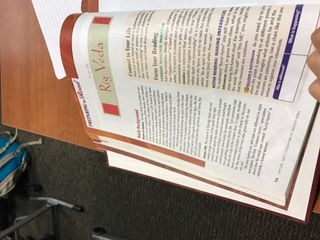 What similarities can you see between Rama and Ravan's struggle to something from your own life such as a video game, TV show, book, or movie? ​​What do you find the most puzzling idea in these hymns? What question does the creation hymn raise about how the universe was created? What answers? What are you told about "that one" who is mentioned in the "Creation Hymn"? What can you infer was happening during the funeral rite in "Burial Hymn"? How did the ancient Aryans view death? Use evidence from "Burial Hymn." How do the sentiments in "Burial Hymn" compare with those you've heard at modern funerals? Create a really impressive cover for TFA. On the back, explain why it’s perfect. 5 details from the cover. Connect those details to 5 details from the novel. What does Ok. Decide to do if the villagers do not fight? Who does he blame for Umuofia’s weakness? Whom does Okika blame for the recent unrest in Umuofia and what must they be prepared to do? Why do the court messengers show up at the meeting, and what does Ok. Do in response? Why does Okonkwo think the villagers will never fight the white man? What does Okonkwo do when he realizes the village has fallen apart? Why can’t Obierika bury Okonkwo’s body? And why is he so mad about the manner of Okonkwo’s death? Why do you think Achebe ends his novel with the Commissioner deciding to write a paragraph about Okonkwo? How do the court messengers humiliate Okonkwo and the other leaders? How do they respond? What do the men of Umogia decide to do in response to their leaders’ imprisonments? How does Okonkwo plan to demonstrate his greatness when he returns to Umofia after his exile? Why does Obierika think it would do no good to drive the white men from Umuofia? What do Ob. and Ok. think particularly unfair about the way the whites pass judgment on the people of Umuofia? Explain how Mr. Brown avoids conflict. Find evidence that he is respected. How does Mr. Brown use his knowledge of Ibo culture and religion to his advantage in converting promoting Christianity? What other than Christianity do the white men bring to the villages that makes them nervous? Why are the other converts wary of accepting the osu? What occurrence (end of 18) keeps the situation between the Christians and the clan from escalating? What do the names of Okonkwo’s children born in exile reflect? Why does Okonkwo insist on hosting such a lavish feast before leaving? According to the elder at the feast, what has allowed Christianity to gain a hold in their society? Whom do Okonkwo and his family stay with during their exile? How do they help Okonkwo’s family? How have Okonkwo’s attitudes toward work and his personal chi changed as a consequence of his crimes? What 2 questions does Uchendu ask Okonkwo that Okonkwo cannot answer? What is Uchendu’s advice? What difference does Uchendu point out when he contrasts men of his generation with men of Okonkwo’s? Describe how Uchendu’s and Okonkwo’s responses to the story of the white men differ. (Follow up to number 5) What do each man’s thoughts reveal about his character? Who are the first to convert to Christianity? What is the power of the evangelists' songs? Why do they give the missionaries land in the Evil Forest? Why does Nneka convert to Christianity? Based on his beliefs, what is Okonkwo afraid will happen if Nwoye leaves and converts to Christianity? 1. Why did the priestess of Agbala take Ezinma to her cave? When? What happened? 2. What does that incident show us about Okonkwo? 3. What role did Okonkwo's wives play in the wedding that took place in Umofia? 4. Who was responsible for the cow getting out during the wedding preparations? How do the women respond? 5. How many titles did Ezeudu have when he died? How many were possible for the members of the clan? 6. During the funeral, what event inadvertently happened that would change Okonkwo's life forever? 7. What is Okonkwo's family's punishment? Find and record a quote either about the character or said by that character. We discussed our pie charts of blame! And answered these questions (include quotes to prove your answers):1.How long did Ikemefuna live with Okonkwo’s family and what influence did he have on them? 1.How long did Ikemefuna live with Okonkwo’s family and what influence did he have on them? 2.What do you think of Okonkwo’s actions? 3.How was the Oracle of the Hills and Caves complicit (partially to blame) in Ikemefuna’s death? 4.What effect does Ikemefuna’s death have on Nwoye? On Okonkwo? 5.What does Obierika feel about the part that Okonkwo played in the murder? What might this suggest about Obierika’s character? 6.What is the significance of Okonkwo’s wish that Enzima was a boy in the days after Ikemefuna’s murder? Make a pie chart of blame!